There are dramatic new breast cancer nutrition discoveries. These are showing how women can reduce their risk of breast cancer by as much 77 per cent! Scientists were actually stunned to find simple interventions that amount to a breast cancer natural treatment revolution! Scientists found out why shift work and exposure to artificial light causes high rates of breast cancer, and what to do to prevent it. Fortunately, supplements and breast cancer nutrition can now prevent the high incidence of breast cancer among shift workers such as nurses. 2. High levels of Vitamin D3 reduces not only breast cancer, but many other cancers by a HUGE percentage. Vitamin D3 with calcium especially reduces the more aggressive breast tumors before menopause! Sulforaphane in broccoli and cabbage family vegetables can block cell growth in late stage human breast cancer cells, say scientists. The deficiency of a protective protein called cysteine was also found in women with breast cancer. By adding immune building proteins with cysteine to the diet, women are more easily able to turn the disease around. What Puts Breast Cancer Cells to Sleep? Women who work a graveyard shift typically have up to a 60 percent increased risk of breast cancer. Why? Yes, researchers have known that women who had worked a graveyard shift at least once in the ten years they assessed, were at about a 60 percent increased risk for breast cancer compared with those who did not work the graveyard shift. Not only that, but their, the risk of getting breast cancer significantly increased with each additional hour per week of graveyard-shift work! Fortunately researchers have found out why! Exposure to artificial light, scientists found, causes us to have a low production of the hormone melatonin. Melatonin is activated when it is dark, to induce sleep. Melatonin shuts down breast cancer cells. Therefore, women who work graveyard shifts and stay in the light at night, have less natural melatonin and have a much higher risk of breast cancer. It has now been shown that by increasing your melatonin levels you can prevent breast cancer! Why? The effect of melatonin on the prevention of breast cancer has been clinically demonstrated. One experiment showed that exposure to constant light promoted breast cancers, but when women were given extra melatonin, this substantially prevented it. The hormone that is melatonin is normally produced by the brain at night, so that we can go to sleep, also puts breast cancer cells to sleep!! It also slows breast cancer growth by 70%. Tart cherries are foods that prevent breast cancer! Tart cherries are the richest food source of melatonin. So munch on dried tart cherries for a breast cancer diet, or get a tart cherry supplement for a breast cancer natural treatment. Best Vitamins Supplements for Breast Cancer? Vitamin D reduces cancer, most cancers, especially fast growing breast tumors! Researchers at Creighton University in Nebraska had 1,024 women take calcium and vitamin D3 for four years. were 77 % LESS LIKELY to develop cancer after the first year, as compared to those taking placebos or calcium alone. Calcium and vitamin D may help lower breast cancer risk before menopause (35% lower) according to a US study. Women who take more calcium and vitamin D are less likely to develop breast cancer before menopause, another U.S. study found. The lower risk was more pronounced in more aggressive breast tumors, the study's authors wrote. Faster growing tumors tend to be diagnosed more often in younger women. Test tube studies suggest that calcium and vitamin D may work with insulin-like growth factors to discourage the growth of breast-cancer cells, the researchers said. Vitamin D is important in fighting breast cancer, scientists say, in that it actively helps to curb the progression of the disease. Researchers from Imperial College, London, found in a small but significant study that vitamin D levels in the blood of women with early breast cancer is higher than in those with more advanced breast cancer. It has already been known that vitamin D - and sunlight - protect against breast cancer. How do they know? Countries that are further north, with fewer hours of sunshine have higher breast cancer rates. Also, women in northern countries are at greater risk of dying from breast cancer than those in the sunnier south. Vitamin D is considered by experts the most important vitamin for immune system strength. Experts say that a therapeutic vitamin D dosage would be from 1000 I.U. 's to 10,000 I.U. 's per day. Why Add Best Supplements for Immune System? Immune-building proteins are also low in women with breast cancer! LOW levels of cysteine were linked to a HIGHER risk of breast cancer, according to research drawn from the 27-year-old Nurses Health Study, which involved 32,000-patients. Best to add immune proteins high in cysteine to help with recovery from breast cancer. After adding taking an immune-building protein for only 10 days her white blood count improved so drastically that her Doctor could not believe it! Shelly's chemo had been delayed because of low blood counts, but after adding this protein supplement she could tolerate more INTENSE chemo, and was happy to learn from her doctors that she now NEEDED FEWER radiation treatments! The prognosis for Wendy was not good. A few years earlier she had recovered from breast cancer, but when she was hospitalized this time for ovarian cancer, the prognosis was not good. Tumors had spread into her liver by the time her friend contacted her about using an immune protein, and she agreed that it could not hurt, and agreed to take the protein that has been tested alongside cancer treatments. She took the recommended dose four times a day, before and during her chemotherapy treatments. After six months she was declared cancer free, and the doctors were amazed. The friends who had helped her buy the immune supplement were thankful to have their friend back. Researchers Keith Singletary and Steven Jackson discovered that the sulforaphane (SUL), that's found in broccoli, cabbage, Brussels sprouts and such, is able to block the cell growth even of LATE STAGE human breast cancer cells! That is good news for anyone wanting to add a breast cancer natural treatment! These scientists found that sulforaphane could be used not only to help PREVENT breast cancer, but to improve the TREATMENT of the disease. Best to get broccoli sprouts at your health food store, and sprout them yourself. Studies clearly show that eating more of the cabbage family vegetables reduce the chances of getting breast cancer. 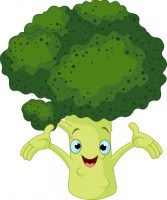 So, eat broccoli sprouted or raw, or stir-fried, even for breakfast in a smoothie! You can eat cabbage raw as coleslaw, and add it fermented as in sauerkraut to get the added friendly gut bacteria to help your immune system. Seaweeds are also excellent breast cancer nutrition, and these do NOT suppress the thyroid like broccoli and cabbage do. We hope that you will be inspired with our research posts on breast cancer natural treatment help. Breast cancer nutrition is no longer a mystery with lots of good scientific studies of foods that prevent breast cancer. Best vitamin for immune system is vitamin D, which is cheap and easy to take. For best chemothrapy immune system help it is best to add proven best supplements for immune system strength during treatment. Let us know how breast cancer nutrition breakthroughs have helped you! 2. Seaweeds are among the breast cancer natural treatment especially if hormones play a big role.